Whether you’re in the midst of a super nasty divorce or an amicable one, divorce is exhausting and emotionally draining. It’s overwhelming and time-consuming. And it sure can be expensive. To soften the financial blow, there are a few things that you should consider doing—and not doing—when going through a divorce. First things first, you need to find out what credit accounts your name is tied to. Your credit report will list all individual and joint accounts, so you can see all the credit accounts that are under your name. It will also list accounts where you’re an authorized user on your ex-spouse’s account, which basically means that you can legally make charges on the account, but aren’t responsible for paying off the debt. When reviewing your credit report, be sure to also check for any errors or inaccurate information. If something doesn’t look right to you, you can file a dispute. The last thing you want is to be liable for charges that your ex-spouse makes on an account that your name is still on. For that reason, you’ll want to close all joint credit accounts as soon as possible. Keep in mind, however, that some joint accounts must have an account balance of $0 in order to be closed. If so, ask your credit card company to prohibit new purchases on the account. That way, you won’t be faced with any surprises down the line. Then, talk to your ex-spouse if you can, and try to agree on a payment plan together. If you find that you’re struggling to keep up with your monthly credit card payments and maintain a budget that actually allows you to save money, you might want to consider talking to a Debt & Divorce Counselor. 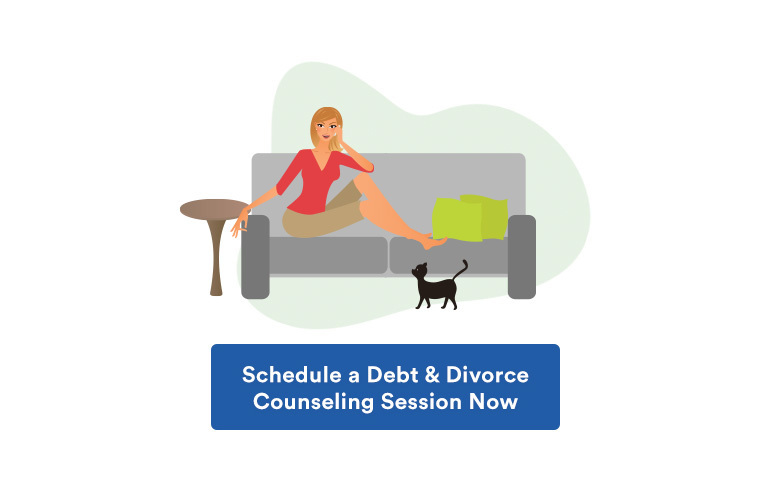 We can’t speak for other agencies, but our Debt & Divorce Counselors at DebtHelper.com know all about how to deal with debt after divorce. They can help you get your finances back on track and, if you qualify, get you on a Debt Management Program that will allow you to lower your monthly payments, drastically decrease your interest rates and pay off your debt faster. It’s free and 100% confidential to talk to one of our counselors—and no, credit counseling will not affect your credit score, so don’t worry about that. If you want to keep using a credit card, we recommend going with a secured credit card. A secured credit card works like a regular credit card, except you’re required to put down a deposit in order to use the card. You can spend as much as the deposit you put down. So, for example, if you put down a deposit of $250, you can spend up to $250. And if you don’t pay your bill, then your creditor will use your deposit to pay the bill. 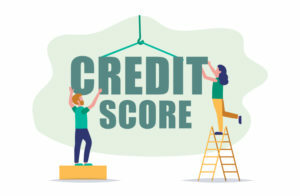 Since you’re much less of a risk to the creditor, it’s easier to get approved for a secured credit card, which is ideal if you have poor credit or a limited credit history. The other good thing about a secured credit card is that it reports your payments to the credit bureaus each month, which helps to improve your credit (assuming that you make your payments on time). It might be tempting to postpone your debt payments until things settle down or until your divorce is completely finalized. But the sooner you can start paying off your debt, the better. If you’re struggling to keep up with your debt payments, then you might want to consider getting on a Debt Management Program (DMP). A DMP can lower your interest rates to an average of 1.9%, reduce your monthly payments by more than $300 on average and help you pay off your debt faster. What’s the catch? There is none! But keep in mind that you’ll no longer be able to use your credit cards that are part of the plan (but you can keep a major credit card off the plan in case of emergencies). Now that you no longer have a joint income to rely on, your monthly expenses will most likely go up. So if you kept a budget while you were married, you’re going to have to readjust your budget accordingly. If you’ve never kept a budget before, then it might feel a bit foreign at first and will probably take a bit of getting used to. Start by tracking your expenses and determining where your money should go each month with a free budget spreadsheet. Once you establish a budget for yourself, you’ll want to determine how much money you’re able to save each month. 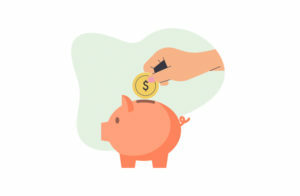 Whether it’s $50 or $300, setting aside even just a small amount of money each month is important as it can act as a safety net in case of an emergency. Your friends and family might give fantastic relationship advice, but be careful taking their financial advice. While they mean well, your loved ones don’t necessarily know the best way for you to deal with your debt. Instead, you’ll be much better off heeding the advice of an experienced and Certified Credit Counselor. 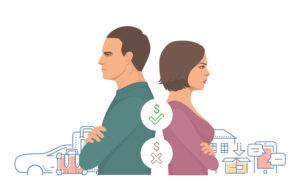 From legal fees to all the additional expenses incurred from loss of joint income, getting divorced is costly. After going through a divorce, it’s not unusual for your credit to take a hit. The good news is that you can rebuild your credit, slowly but surely. After taking a look at your credit report, make a list of all your debts and then be sure that you’re paying every single one down every month. Remember that even just one missed or late payment can hurt your credit score. You might think that you’re free from debt payments as long as the judge declares your spouse responsible. But if your name is on the account, then technically, you’re still responsible for the payments. Which means that if your spouse stops making the payments, then creditors will come after you too. Decree or no decree. To prevent this from happening, make sure that you call your creditors and remove your name from all joint accounts. If that isn’t possible, at least check regularly to make sure that payments are being made on time. While there are certain financial do’s and don’ts that everyone should follow when going through a divorce, at the end of the day, every divorce is personal. So the best thing you can do right now is seek personalized financial advice from a Debt & Divorce Counselor. They can help you to budget better and get on an affordable payment plan that will lower your credit card interest rates to potentially 1.9%. Paying off all your credit card debt will probably take a bit of time regardless, but with us, you’ll pay it off much faster and save potentially thousands of dollars in the end. Plus, you’ll have the relief of knowing that your credit card bills are being paid on time and you have more money saved each month to spend on yourself and your children. Remember: You’re not alone in this. And there’s absolutely no shame in getting financial help—credit card debt happens to the best of us. So go ahead and schedule your free, 100% confidential Debt & Divorce Counseling Session now. 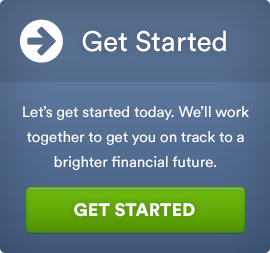 And get excited: Your new financial life awaits!